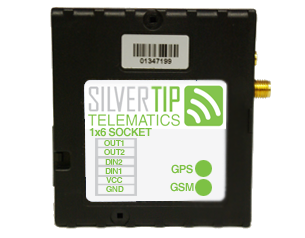 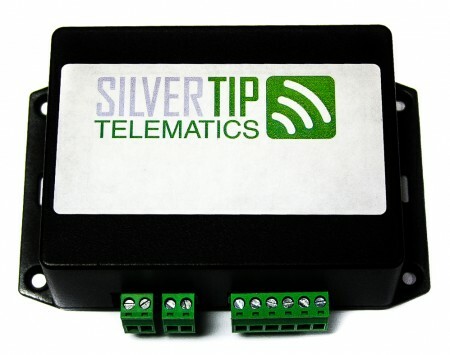 SilverTip Telematics’ RS-232 Serial Spy is a low-cost hardware solution that will help you quickly and easily diagnose communications problems on half duplex RS-232 circuits. 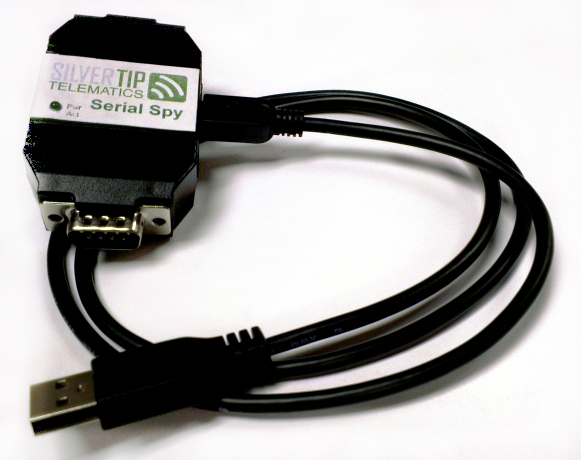 Since most laptops and computers available today do not include an RS232 hardware interface, the SilverTip serial spy includes a built in serial to USB adapter so that you can plug directly to your PC without the need for additional adapters or other bulky cabling. 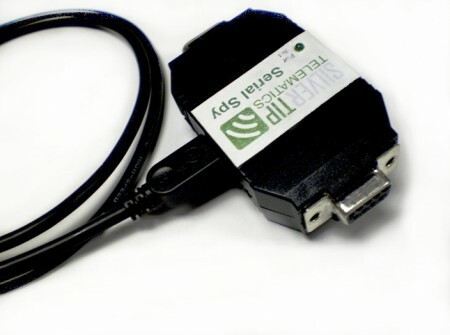 With the included USB cable you can monitor both ends of the RS232 circuit with any standard terminal emulator such as HyperTerm, RealTerm, and Tera Term. The USB communications uses conventional Virtual COMM Port over USB communications. 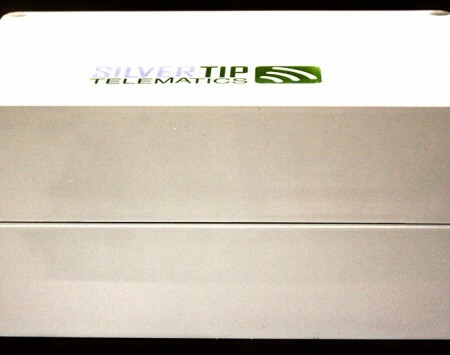 USB drivers are included with the package. 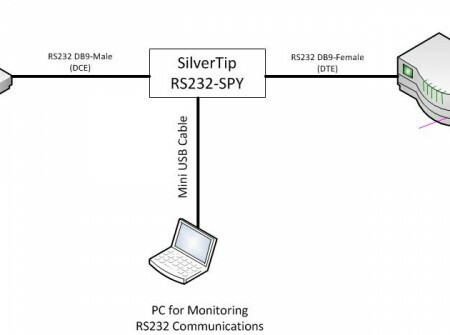 Serial Spy is defined as: a one-on-one communication link between Data Terminal Equipment devices, such as a PC or a printer, to a Data Communications Equipment device, typically a modem. 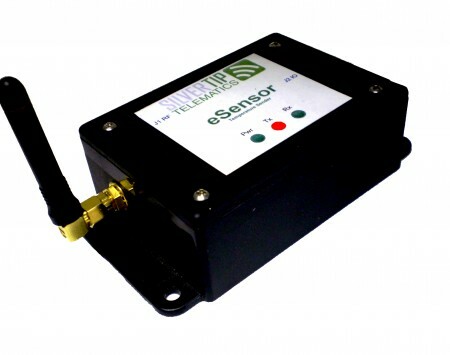 Between these two devices, they transmit and receive data across a cable. 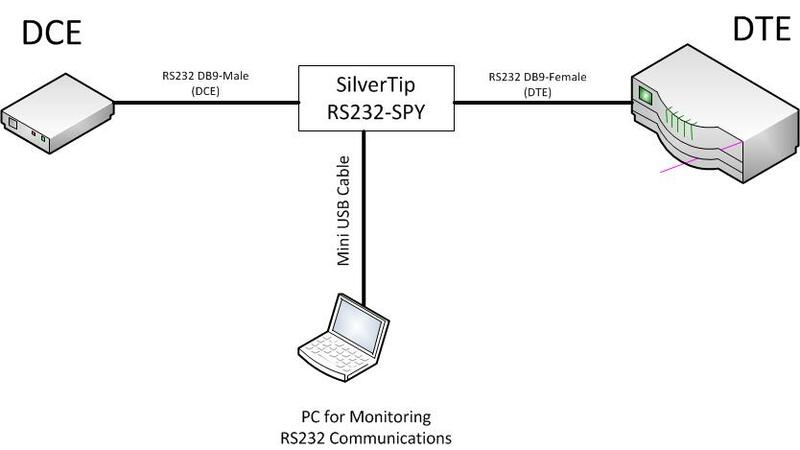 With a particular special cable, it is possible to have a third device to monitor the data.